Join us for the 2018 Spark Awards! DRINKS, Dessert & NETWORKING - 6:00 P.M. Drinks, Dessert and Awards, it's certain to be a celebration. 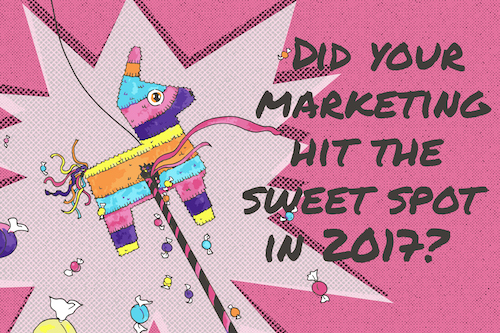 Bring your sweet tooth and colorful attire and join us to celebrate Marketing that Hit the Sweet Spot. This will be a great opportunity to whack sticks with your fellow markerting enthusiasts and get a peek at what both your peers and your competitors are doing to market themselves and their businesses. You should share this event!